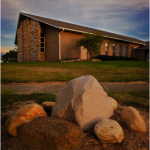 We are a small, family oriented church located in Norton, Ohio. We believe strongly in the Bible and the teachings of Jesus Christ. We are well known for making our guests feel very welcome! There are plenty of learning & service opportunities available for you and your family. We hope you will visit us on an upcoming Sunday!